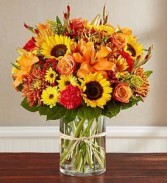 Bring the picturesque flower fields of Europe to those you care about with our best- selling autumn arrangement. 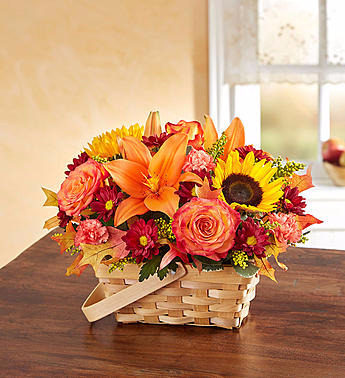 We’ve gathered rich, colorful blooms into a charming handled basket as a reminder that no matter how near or far, they’re always on your mind and in your heart. 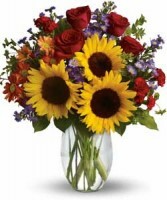 Order received after cut off time or business hours will be deliver on the next business day. We will do our best to accommodate deliveries at specific times of day, but we cannot guarantee the exact time due to traffic or any unexpected problems that arise beyond our control. 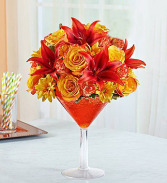 Best Wedding Florist in Orlando &vert; Direction &vert; Tell the World what you think !